We are happy to announce that 5 new story quests will be available as of Oct. 11, 2018 12:00 a.m. (PT) / 7:00 (UTC)! 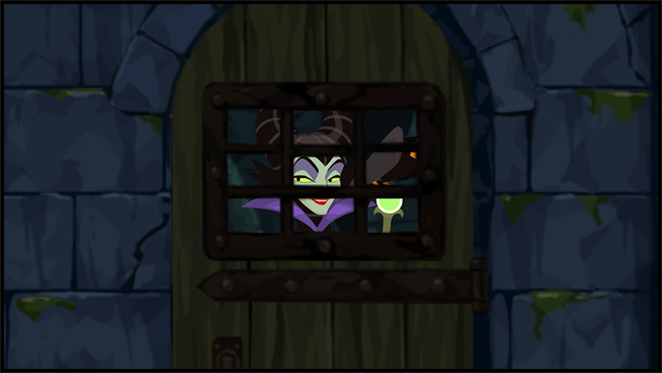 Prince Phillip has been captured by Maleficent! but will you be able to rescue Prince Phillip and set him free...? Get 7★ Prime - Halloween Sora within 5 draws! ★ Halloween is nearly upon us! Get Prime - Halloween Sora within 5 draws with this 7★ Deal! Prime - Halloween Sora is here! Get him within 5 draws from this special Medal Deal! Even better, as you're guaranteed to receive a 6★ Prime - Halloween Sora Medal each time you draw from this Deal, you'll be able to take full advantage of the 7★ version's 5 trait slots!! NOTE: The 6★ version of Prime - Halloween Sora will have 3 trait slots. ・A 7★ Prime - Halloween Sora within 5 draws! ・A guaranteed 6★ Prime - Halloween Sora per draw from this banner! As you're guaranteed to receive a 6★ Prime - Halloween Sora Medal each time you draw from this Deal, you'll be able to take full advantage of the 7★ version's 5 trait slots!! 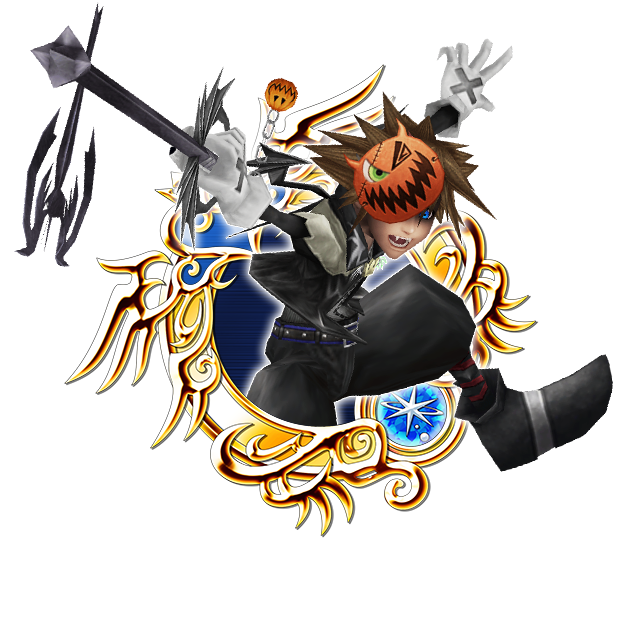 ・Boosted Prime - Halloween Sora: 1,000 more base Strength and Defense. Special 7★ Prime - Halloween Sora Medal Board! ★ Prime - Halloween Sora Limited-Time Medal Board is here! Pick up this extra-special board to kick-off the Halloween season! Get 7★ Prime - Halloween Sora and three 6★ Prime - Halloween Sora Medals, along with tons of extra goodies! For 8000 Jewels apiece, unlock a special limited Halloween Medal Board which includes a 7★ Prime - Halloween Sora, three 6★ Prime - Halloween Sora Medals and the powerful Attack Boost VI Max skill! ・Plus, stock up on bonus Chip and Dale Medals, Magic Mirror Medals and more! Don't miss out on this limited-time Medal board, available only for the Halloween season! * If you have unlocked your Nova attack, and you receive the 7★ Medal included in this board for the first time, please note that no indicator of your Nova attack level rising will be displayed on-screen at the time you unlock it, however your Nova attack level will still be increased. ・Select "Avatar Boards" from the Menu to view this board. ・Once purchased, this Medal Board will remain unlocked for you even after the campaign period ends. ・You will not need Avatar Coins to unlock nodes on this board. New Chasm of Challenges Quests Added! We are happy to announce that 5 new quests will be available as of Oct. 11, 2018 12:00 a.m. (PT) / 7:00 (UTC)! ・The latest rewards include a Power Gem! Good luck! The Avatar board for 8,000 jewels is a complete waste since the medal is pretty meh and you're not guaranteed any good trait rolls because of terrible RNG, the banner is the same unless you're doing the banner rolls for huge Sub-Slotting potential then it's worth doing, overall i'm passing on this medal and the avatar board. This medal is a bust. If you must have it for collecting purposes, or love the Halloween Sora, then pull once from the banner, and use your fairies to enhance to 7* if you plan on using competitively. But he isn't that great, unless you're a new player or a player short of good medals. But do not spend massive amounts of jewels on this medal.